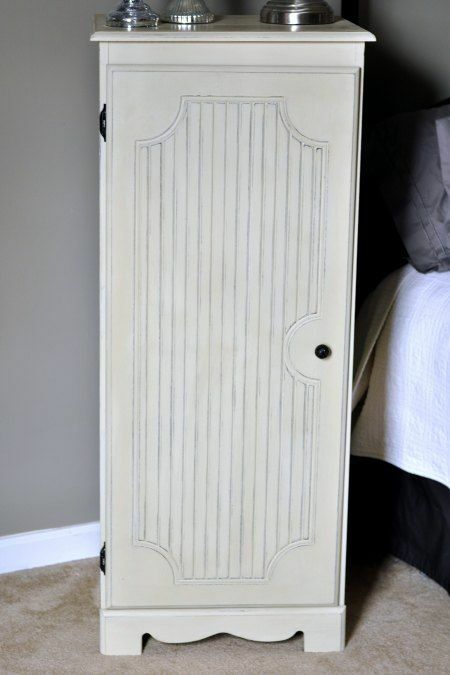 You have to check out the cabinet makeover I did. Isn't it lovely?? 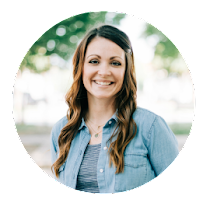 I'm so excited about it! 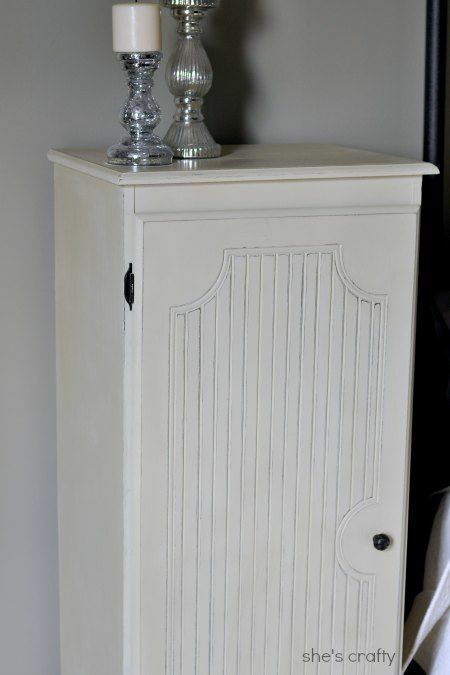 Especially considering how this cabinet looked before I painted it. Ick! We've had it for a few years. 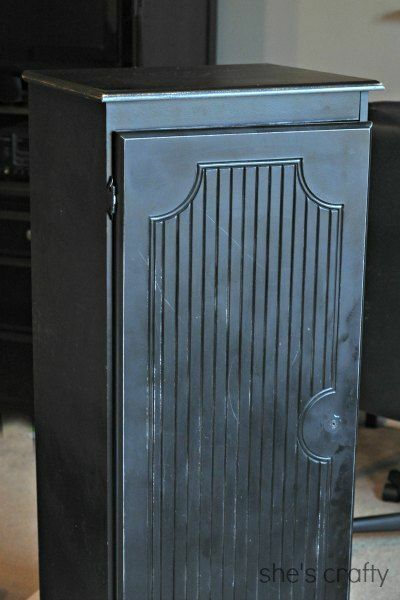 When I originally brought it home from an antique store, I gave it a quick, super sloppy coat of spray paint. It was a mess. I knew I needed to redo it, but I was waiting for just the right time. Well that time is now! 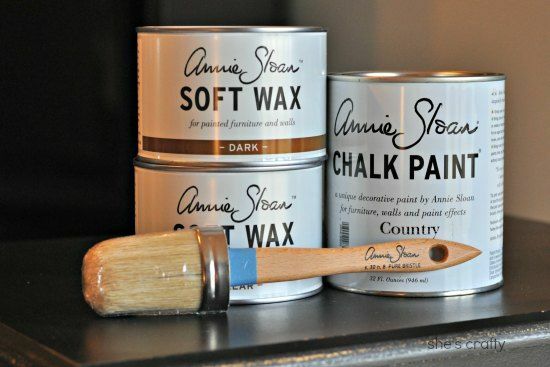 I was sent some paint and supplies by Annie Sloan Unfolded . Holy cow I was so excited to get my hands on these products! So fun! 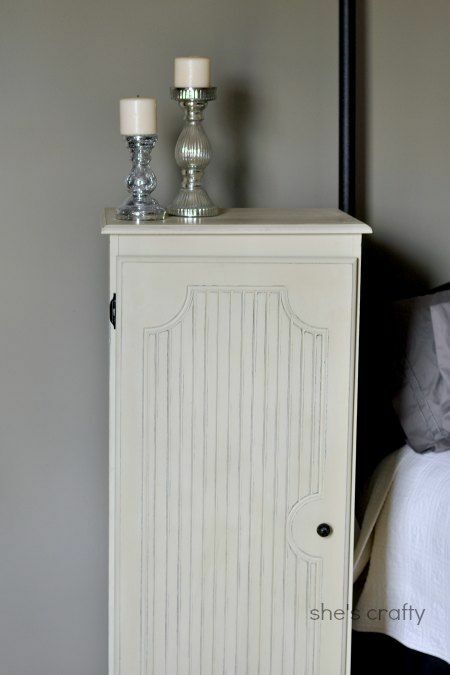 I received Chalk Paint® decorative paint by Annie Sloan in the color Country Grey. I also received Clear Soft Wax, Dark Soft Wax and an Annie Sloan Brush. I loved using the brush. 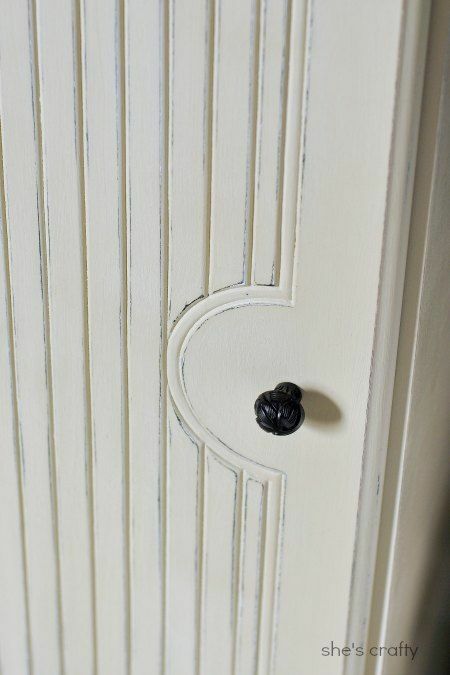 I was able to easily paint the flat surfaces of the cabinet and it also worked really well to get the paint into all of the grooves of the door. 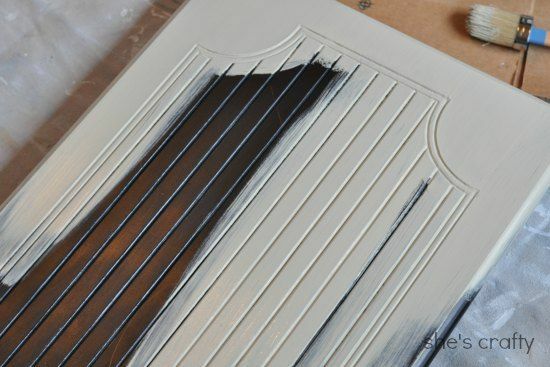 One coat of Chalk Paint® was almost was enough. I had to go back and touch up just a few places with another coat. After the paint dried, which by the way only took about a little over an hour, I sanded some of the edges to age the piece a bit. Then I wiped off the dust, and got out the soft wax. For the wax I put a dollop of it onto a paper plate so I wouldn't dip my dirty brush into the can of wax. I dabbed a bit of wax onto my brush and using a circling motion, put it onto my cabinet. I'm not going to lie, at first I didn't like it at all!!! The paint went on smoothly so that's kinda what I expected from the wax. 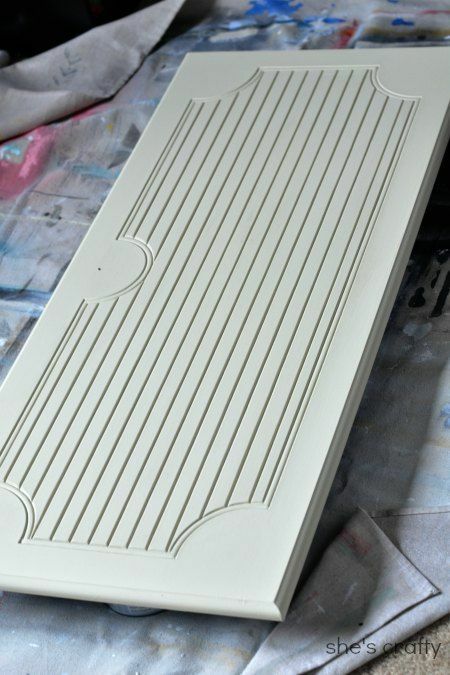 But it doesn't go on the way the paint does and trying to do so made the finish really blotchy. Bummer! I took a deep breath, grabbed a drink of my diet mountain dew and decided to try again. In my second attempt, I put more wax on the brush. I worked in a small area and put the wax on the cabinet using a circular motion again, then followed by rubbing with a rag. After I had the wax on pretty evenly I buffed with the rag. I mean buffed. Like a lot. Like I don't need to do any arm exercises for a while. Like my wimpy arm was sore the next day. But it worked! The wax hardened and made the finish so beautiful! My sore arm was totally worth it! 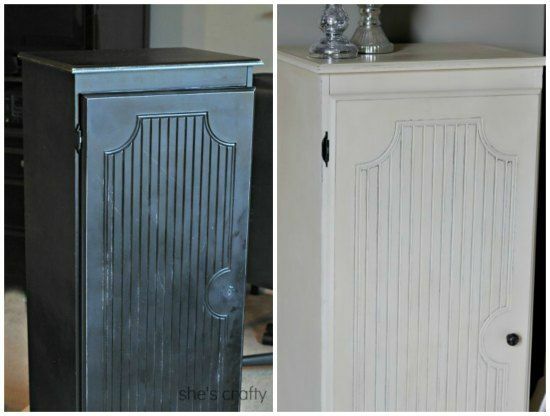 The cabinet was pretty ugly before and now this cabinet is fantastic!!! I am so thrilled with how it turned out! 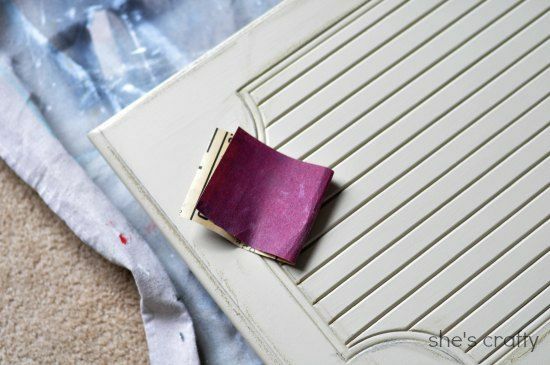 I would definitely recommend Chalk Paint® and will use it again! !